This level has medium difficulty. 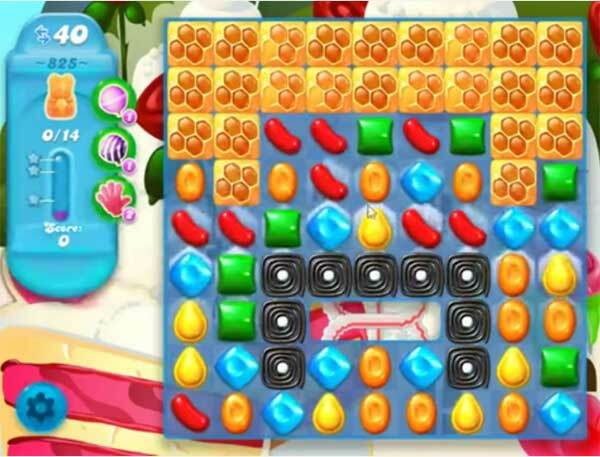 For this level try to play more from the bottom or near to honey blockers as you get the chance. Combine them with each other to break more honey blockers to save the bears. I only have 35 moves as well. And it always seems that the publisher of this help site says the levels are of ‘medium’ difficulty….I beg to differ. Even with boosters this level is difficult period. IMPOSSIBLE LEVEL GONNA TRY TWO MORE DAYS AND I DONT GET HELP IM GONNA UNINSTALL LOVE THIS GAME BUT CANNOT STAND THE STRESS WHEN I PLAY A LEVEL FOR 3 WEEKS AND NOT EVEN CLOSE TO SAVING THE BEARS READY TO GIVE UP IMPOSSIBLE LEVEL CANT GET SPECIAL CANDIES TOO MANY BLOCKERS TO CLEAR. Going on 3 weeks and I’m not even close to clearing these 🙁 HELP more moves are needed!! !